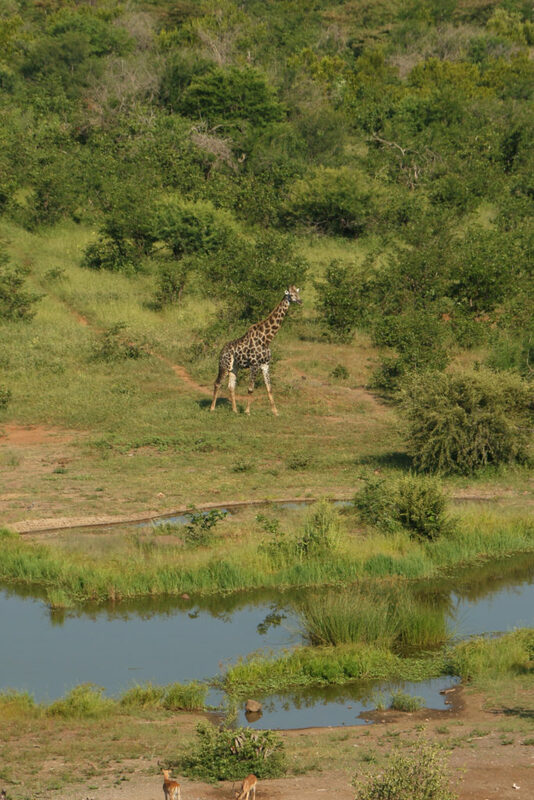 We have a regular visitor to the Safari Lodge waterhole – an old lone male giraffe – who likes to wander down in the mornings to have a drink, as guests look on from the Makuwa Kuwa Resturant. One of our Restaurant Supervisors, Owen Moyo, came up with the idea of naming him, so we can refer to him directly when guests ask questions about the animal. The Makuwa Kuwa team have chosen the name Njabulo, which is an Ndebele name meaning ‘joy’ or ‘happiness’. The staff say the giraffe makes them feel joyful and happy when he visits. 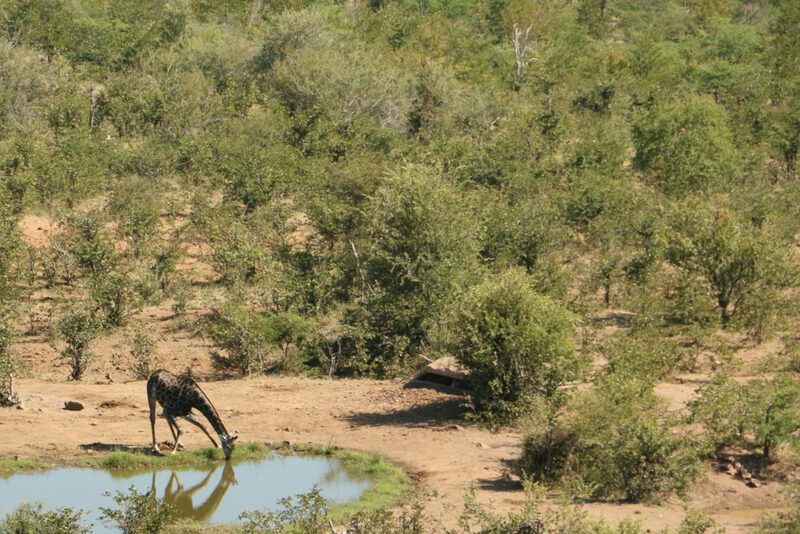 It was a very rare thing for giraffe to come to our waterhole, but now Njabulo comes all the time, and we hope he continues to join us for breakfast every day.